Redevelopment is an important function of CHRC in the improvement of local neighborhoods and the community’s quality of life. 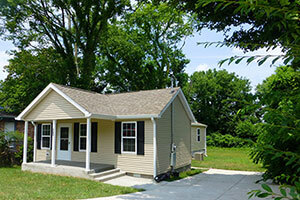 Funding for low-income housing is provided by the U.S. Department of Housing and Urban Development (HUD). Federal and City funding through Community Development Block Grants provides the financial base for neighborhood improvement programs. CHRC’s revitalization programs are also funded by various state and city funds and through partnerships with local lenders. TCA 13-20-200 authorizes municipalities to use housing authorities to undertake redevelopment and urban renewal projects for the elimination of blighted, dilapidated and deteriorated of areas within their corporate limits. On July, 16, 2009, the Columbia City Council approved Resolution No. 09-20 authorizing the Columbia Housing and Redevelopment Corporation to perform redevelopment and urban renewal activities. CHRC is building a strong alliance of elected officials, developers, contractors, social agencies, and interested citizens to truly make a difference in the neighborhoods that we serve. Under the Executive Director’s leadership, CHRC strives to provide services and programs reflective of the agency’s commitment to residents, neighborhood revitalization and economic development. CHRC also incorporates the latest in technology to operate efficiently and exceed customer expectations. 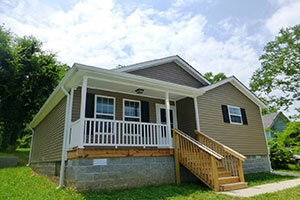 families to achieve home ownership in Columbia. growing area close to downtown Columbia. 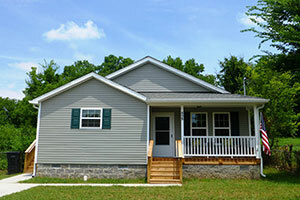 opportunity for homeownership in Columbia by a respected development organization and quality builder. There are no other new homes in Columbia being offered today at such an ideal price. Development Corporation at 931-388-5203 or email conitha@chrc-tn.org for more information. The City of Columbia Advent Community Development Corporation Program Description and Purpose The City of Columbia and Advent Community Development Corporation (ACDC) has properties (vacant lots/lots with substandard structures) available for purchase to non-profit organizations, for-profit businesses, private developers (see Application Part 1). These properties have been identified by the City for acquisition based on the necessity of blight removal, neighborhood redevelopment, and/or affordable housing opportunities. The final purchaser of the property will be required, in almost all cases, to either construct a new dwelling on the property or rehabilitate the existing structure. ACDC will post a list of all available properties, with any restrictions, in the City of Columbia Development office, City of Columbia, and Columbia Housing and Redevelopment Corporation (CHRC)/ACDC websites. All properties must be posted for a minimum of 30 days before the Home Again Property Improvement Program Committee will act on any application. Application forms to purchase properties are available in the Community Development office. Developers must propose to construct new housing or rehabilitate the existing structure located on the parcel. The proposed reuse must comply with neighborhood zoning and the City of Columbia Planning Commission’s In-Fill Housing Guidelines as well as the Community Development Department’s Rehabilitation Standards (in the case of rehab). Lead Based Paint Regulations will apply for existing structures built prior to 1978. Local building codes will apply for both new construction and rehabilitation. Construction plans for properties on the National Register or zoned Historic under localoverlay must be reviewed and approved by the Historic Zoning Commission. If a parcel is not buildable, applications for related residential use, such as combining with adjacent residential property or community gardens will be considered. Applications will only be accepted for properties on the Home Again Property Improvement List at the date of application. Due to the fact that competing proposals may be reviewed at the same time, please ensure your proposed development plan is your "best and final" offer for improvement to the property. The applicant must agree to pay the “minimum property acquisition fee” or provide an explanation regarding the reason the offer is below the minimum price. Once the improvements are made to the property there is a 2% development fee of the purchase price or appraised value (whichever is higher) that is paid upon the completion of the construction or rehabilitation. Once an application is approved, the purchaser will enter into a conditional sale agreement, which will specify the terms of the purchase and conditions for transfer to the purchaser. It is strongly encouraged for the applicant to include plans and proof of funding with their application. However, the purchaser “must” submit plans and a written commitment of funds for financing for the project within ninety (90) days of the date of the agreement for new construction or rehabilitation of an existing structure. Upon approval of plans and financing, title will be transferred to the purchaserThe construction/rehabilitation must commence within 180 days of the deed transfer. The purchaser must agree to complete construction of a dwelling or complete rehabilitation of the existing structure according to the attached construction standards within one-year following delivery of the deed. Property will be transferred by Deed with a purchase agreement, contract, or other mechanism that will enforce compliancewith the terms, covenants and conditions required by the Homemaker’s Agreement. Final approval of all property transfers related to property owned by must be approved by the ACDC Board of Commissioners. Houses purchased through the Home Again Program are subject to the HUD regulations on Lead-Based Paint Hazards in Federally Owned Housing and Housing Receiving Federal Assistance. Houses built after January 1, 1978, properties found not to have lead-based paint, and unoccupied units that will be demolished are exempt from Lead Based Paint Rules. For additional information you may call (931) 388-5203.